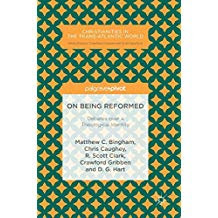 On Being Reformed, Matthew Bingham, Chris Caughey, Scott Clark, Crawford Gribben, and Darryl Hart. 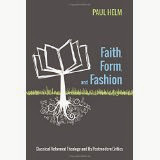 If you are interested over the question of what constitutes being in the ‘Reformed’ tradition, what its special genius is and what its limits are, then ‘On Being Reformed’: Debates over a Theological Tradition, is for you. It is the first of a series of debates, Palgrave Pivots, a series devoted to ‘Christianities in the Trans-Atlantic World’. The contributors are Matthew C. Bingham, (Oak Hill College), Chris Caughey, (Queen’s University, Belfast), R. Scott Clark, (Westminster Seminary, California), Crawford Gribben (Queen’s University Belfast), and D.G. Hart, (Hillsdale College, Michigan), and the book is published by Palgrave Macmillan. I shall take a little time giving the flavour of the four chapters, and then making comments from further away. In this debate, the authors of the first two chapters, Caughey and Gribben together, and Bingham alone, are left in the hands of Clark alone and Hart alone. So the reader truly crosses the Atlantic in debate, but an important strand of influence in the exchanges is found in the neo-Calvinism of the Gospel Coalition, and groups of Reformed Baptists in the States, even the Banner of Truth Trust, who don’t have a spokesman in this debate. That I reckon might have issued in a change to its terms, which are, perhaps it is fair to say, focused on the works of print history. All contributions work to a high academic standard, well-read and well-informed, supplying the reader with numerous facts and ideas, in footnotes and evidence of out-of-the-way learning. The advocates of a hard-line view of what ‘Reformed’ implies are Darryl Hart and Scott Clark, who have published extensively. So they are given the last says, Darryl Hart ‘Baptists are Different’ and Scott Clark’s ‘A House of Cards? A Response to Bingham, Gribben, and Caughey'. They have the first two papers ‘History, Identity Politics, and the “Recovery of the Reformed Confession”’ , by Chris Caughey and Crawford Gribben, and ‘Anachronistic Oxymoron or Useful Signposts’, Matthew Bingham. The ‘hard line’ is the view that the numerous early Reformed Confessions, including of course advocacy of paedobaptism and a state or city-wide divinely warranted to take political charge of the welfare of Reformed churches. But the state church element was surrendered, trumped by the American Constitution. Caughey and Gribben make the further point that there are numerous early Reformed confessions, each of which have changed over time, which they document, making the plenary view untenable, for ‘Reformed’ is invoked by those who differ among themselves theologically. So they advocate that judgment should be exercised, involving a core of doctrines, surrounded by a periphery. Denominational distinctives, with the Baptists in the interstices between the different Reformed confessions, plus difficulties in policing confessional boundaries, make recovering the original position futile, from a historical point of view. Gribben and Caughey identify Clark’s strategy, and its weakness. (15) And aren’t 16th and 17th Confessions now ‘dated’? Matthew Bingham centres on the term ‘Reformed Baptist’, minted during the post Banner of Truth era, identifying the resurgence of interest in Reformed theology in various parts, on both sides of the Atlantic. What are the losses and gains of calling others, and of being called, ‘Reformed Baptist’? From personal experience those who bear the title are not generally speaking confessional sensitive. (Would more of them were of a 'predestinarian stripe’) (54) They bridle at the 1689 Baptist Confession’s commitment to divine simplicity, and pass it by. Others (the ‘really Reformed Baptist’ perhaps), are more like some Presbyterians are with the Westminster Confession, fully confessing it still, after nearly 500 years. 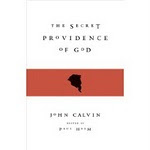 Nevertheless in a book almost exclusively contained with the printed word, there is surprisingly little attention paid to the remarkable fact that three Calvinistic confessions, The Westminster, the Savoy Declaration, and the 1689 Baptist, are substantially the same, and identifiably Ref0rmed, what else? No mention here of open or closed communion in the Baptists, or the formation of 'union' chapels of Baptists and Congregationalists in the past, with alternating ministers. Anyhow, Bingham opts for 'Reformed Baptist', which is fair enough, but perhaps off the target of the book. was puzzled by his view that John Owen is regarded as a Reformed theologian (63), and even more surprised with Michael Allen’s view that John Owen and Jonathan Edwards are ‘the greatest Reformed theologians”. (41) The latter is certainly politically incorrect among some Reformed hardliners. And Clark's 'truly Reformed' position cannot withstand his judgment on Owen. maybe one could be started. Perhaps there’s the makings of a debate in Scotland and Northern Ireland. That’s because of the fact that there Presbyterians are the most conspicuous in having as their history the history of reformation confessional - writing of the seventeenth century. Yet even uncommitted or unconcerned readers can benefit from the learning and diversity of the debaters, with the greatest stake being in how their history can be ‘read’ as we enter new phases of culture. In reading of their endeavours we get clearer about what a tradition is, and about what in the eyes of some brings a tradition to an end or causes it to flourish. However, without being ungrateful to the debaters for their learned labours, I cannot help thinking that there is a one-dimensionality about the debate. It has busied itself solely with documents as validating or invalidating the identity of complex human institutions. There is more to them than keeping their founding documents to the fore, as if this were all! Reading the book we come to learn more about the way the foundational purpose of confessions have been to certain churches and denominations. But what are the churches, and the congregations of these churches, for? What are their co-confessors like? Do they have any friends across religious divides? And where is their heart, and centre, that makes them tick? One thing we know from church history is that churches can die while their foundational documents are still displayed and revered, but untouched. This debate has smothered a different approach, that of verstehen, of 'smelling the coffee'. It is one thing to argue the (false) claim that our confessions of faith have remained unchanged since the Reformation, another wonderful thing to live by their gracious doctrines. With others, to rejoice in the privilege of being 'in Christ'. As already stated, it is a singular, remarkable providence that three of our English confessions are word for word almost identical in Reformed soteriology, including the classic catholic trinitarian and incarnational positions. We could therefore unite here, and encourage each other thereby, even strengthening our grasp of our respective confessions, like iron sharpening iron. Is that not a distinctive form of Reformed religion, whether or not we are credobaptist or paedobaptist, even if different in our ecclesiology and in the administration of baptism. At a time when the faith is increasingly under threat, and our family life as Christians is being undermined, and as there are various popular distortions as well as ancient heresies freely peddled, to have the strengthening of distinctive Christian fellowship is a traditional activity that should outweigh our marginal confessional differences. Perhaps fostering such fellowship requires a little more social ostracism, and perhaps that will come. By ‘creatureliness’ I mean the creatureliness of human beings. This is a dominant fact about you and me and our neighbours. And somewhat underplayed at present. We are, together, creatures of the living God. That is, to use a more familiar word, we are his products. We are in the state of creatures whether we like it or not. But though all of this is true, the fact of creatureliness is one that few people gave much thought to. The fact that we are made by him in the most intricate fashion, and are what we are by virtue of his creatorship and by his providential upholding of us, has been surrendered by most of us. At best, it is a notional rather than a real fact. Having done no research on the question, nonetheless I have the conviction that this awareness, the awareness of creatureliness, has in our culture shrunk to almost disappearing point. So that those who are aware of being creatures are exclusively to be found among conservative Christian and perhaps also the conservative Jewish communities, and Islam. Among its fate in other groups I am almost totally ignorant. And even among Christians there is often only a token recognition of the point. Which is a great pity. There is not such a thing as a doctrine of creatureliness; a doctrine of creation, yes, and of the Creator – creature distinction, of course. Without an awareness that we are creatures of God it is hard to see us ever being aware of those ills that Jesus came to deliver us from. Such words are now never heard in public, not even at harvest time, which is now a somewhat antiquated festival. The ‘tone’ of our fellow citizens of themselves is much more likely to be of one who is an initiator in human life, here to make, to enjoy and to fulfil, understood a set of purely human projects. Human life is for expressing and enjoying ourselves, and so for ‘making’ ourselves. In this sense we view ourselves not so much as creatures but as creators. Our horizons are this world, in the sole enjoyment of some of its riches and of its temptations. Insofar as such pride is true of ourselves, it shows signs of a lack of belief in our creatureliness. From this lack flow some of the dominant features of our culture: a preoccupation with fairness, and with physical fitness, and of gaining and maintaining our rights. Christians hold that God’s eye is on us; and that in him we live and move and have our being. I suppose, therefore, godliness is not next to cleanliness, as we were taught, but it is certainly next to creatureliness! Unlike sheep and seals, say, human beings can be aware of being a creature, and this asymmetry between the Creator and his self-aware creatures is a fundamental factor in God’s providence and grace, and of taking stock of human life more generally. Being creatures having the awareness of our creatureliness does not make us robots, or puppets, or fated by the stars, for we are obviously not. But the point is, human choice can only do so much. From God who ordains who we are, we receive gifts and are ourselves gifted one way or another, as we say without realizing what we are saying. And he supports and works through us to bring to pass his own purposes, re-creating us moment by moment. As the Westminster Confession puts it, by God’s providence, ‘ordereth them [all things] to fall out according to the nature of second causes, either necessarily, freely, or contingently.’ (V. II) God, our creator and Lord, works through us, and so to speak ‘respects’ our individuality, an individuality which is distinct of each person, another part of our creatureliness. There are contemporary philosophers who hold that it is an infringement of human autonomy to come into the world with a particular endowment, and subject to parental nurture and example, and further formed by an early education. In their view we ought to have the right to choose what character we have, what our strengths and weaknesses are, and what life chances we are given. What we would the ‘me’ be like who has to plan his or her own life, selecting one’s DNA and all, is not made clear. It looks incoherent and it in any event is fantastical. This fantasy can be regarded as an attempt to destroy or erase the features of our creatureliness or at least to circumvent them. The desire for a 'freedom' in which we are at first, or constantly, or periodically, can ave some freely chosen new start in our lives is an illusion. In such situations we believe that we are faced with a blank future on which we can impress our character uninfluenced by other effects from sources not solely our own. In sharp contrast to this human, freedom is conditioned freedom. Each choice, free in the sense that the choice is our choice, and is not forced upon us, and is the product of our inner likes and dislikes, our character as creatures. Libertarian or countercultural freedom, unconditional choice, is a illusion, in my view, whether it is the character of our everyday choices, or as the ability exercisable at some definitive turning point of our lives. It is an attempt to be free from the shape of our creatureliness. Our creatureliness here is invariably expressed in terms of preferences or goals, the product of our beliefs and desires, and they are the result of our initial endowment of genetics, culture, upbringing. We own these as our own, as indeed they are, and not anyone else’s. We face choices that we may not know the outcome of. These familiar situations are the results of creatureliness. This is the nature in which the regenerating grace of God operates. If we would be pilgrims, then try as we may we cannot avoid our heteronomy.